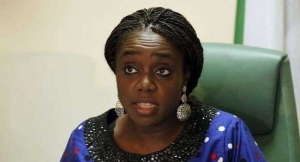 Finance Minister, Mrs Kemi Adeosun, has revealed that federal government saves six billion Naira monthly through a cut down in recurrent expenditure. Mrs Adeosun, said this at the Senate while briefing lawmakers on the state of the Nigerian economy. She told the lawmakers at plenary that the move is part of federal government’s effort towards ensuring fiscal discipline in the face of dwindling oil revenues. According to the Minister, the government now spends 159 billion naira instead of 165 billion previously spent monthly as recurrent expenditure. The lawmakers had on May 26 summoned the Minister to brief them on the 2016 budget and other economic issues affecting Nigerians. Mrs Adeosun, however, failed to appear before the upper legislative chamber on Wednesday, prompting the motion to have her do so unfailingly on Thursday. The Senate said that the Minister of Finance, Mrs Kemi Adeosun, had to appear before it before members proceed on recess. The Senate before inviting the Finance Minister and the CBN Governor, Godwin Emefiele, in the month of May, noted that unemployment rate rose to 12.1 per cent in the first quarter of 2016 from 10.4 per cent in the last quarter of 2015. The Senate agreed that the declining Gross Domestic Product and high inflation rate clearly showed that the country’s economic policies required an urgent review to avoid a further plunge in the economy.